The reason you aren’t where you want to be in your life is likely because of your comfort zone. We all need a comfort zone so we’ve got someplace to go when we need a break, that’s completely natural. A comfort zone is a nice place to hang out in, especially when you’re worn down and just need to relax and rejuvenate. 1. 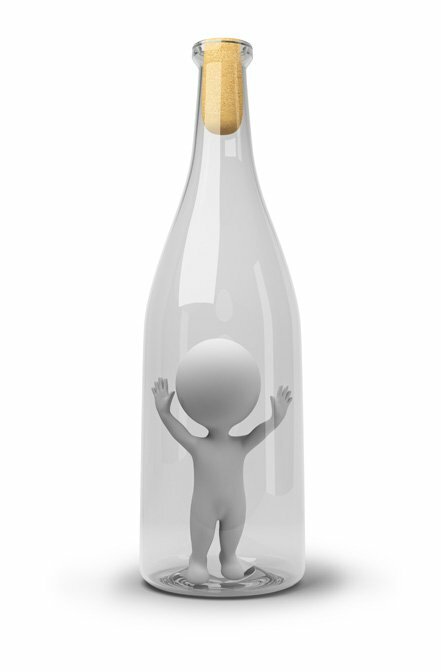 It no longer feels comforting and instead feels like a corked bottle or a closed box you put yourself in. Your comfort zone, like any zone, has boundaries. Inside those boundaries you’re happy and content; outside, you’re unsure and afraid. Those boundaries are made up of your own fears and limitations, sure. They’re also made up of fears and limitations put upon you by others. Those boundaries, I say kindly, are chosen by you. You can only experience what’s inside that zone, and if what you want for your life falls outside those boundaries, well, you’ll never have/be/do/say it. And the peril becomes: you live your life based on your fears and limitations instead of your abilities and strengths. 2. You’re no longer growing. Like anything in a confined space, you can only grow as big and as grand as the walls that surround you. And if you’ve made your comfort zone really small, well, I’m sorry to say, you’re going to be bumping up against its boundaries real quick. It’ll get tight and uncomfortable when that happens. You will have to start settling if you don’t want to keep getting smashed up against those boundaries. Or you may go the route of self-medicating (abusing substances, behaviors, and the like) because of the pain that getting smashed causes. That’s especially true if you see others doing what you would like to do with your life, but you aren’t doing it because you’re choosing to stay in your box. And the peril becomes: you don’t realize your full potential and all your life could be. 3. You feel trapped instead of nourished. A comfort zone, used the way it’s meant to be, is a safe haven; a place for you to go when you need a retreat. It turns into a hinderance when it keeps you from trying anything new. You watch life pass you by as you stay tucked inside that zone, maybe wishing you could step out, maybe living in fear of stepping out, maybe telling yourself you don’t want to step out (when you really do), or maybe so worn down by the fears and limitations that you no longer think about stepping out at all. And the peril becomes: you never feel free. 4. You rely solely on your comfort zone for safety. Safety is not guaranteed in this life. Neither is comfort. If you convince yourself that the only way you can stay safe is by remaining inside your comfort zone, you will live with the false belief that it’s the zone protecting you. But know this: what you fear the most can still befall you while you’re hidden away in your comfort zone. And when that happens, you will be blindsided, disillusioned, confused, resentful, and/or a myriad of other emotions that may stick you fast and keep you stuck. And the peril becomes: you will feel crushed when something negative in life happens to you inside your comfort zone, especially if you believed that you took all kinds of precautions to keep life at bay. 5. You deny yourself fulfillment. You most likely have people/places/things/etc. that fulfill you inside your comfort zone. You may be fully content always living within the boundaries of that zone. Just be sure to be clear whether you’re actually fulfilled or if you’re settling out of fear. If you have a nagging sense that you’re meant to do something else, have something more, be something grander, or say something powerful, well, then your comfort zone (which is stopping you from doing those things) is a hinderance to you. And if the boundaries of your comfort zone cause you to refuse a calling on your life, deny a purpose you feel you have, and/or pass up opportunities to bring yourself joy and happiness, then your comfort zone is an extreme danger to you. And the peril becomes: you will never feel fully satisfied; that nagging sense will never go away and will in fact intensify, leaving you agitated and irritable until you act upon it. So will you do yourself a kindness and step outside your comfort zone today?